Silvio Caiozzi was born in Santiago, Chile in 1944. He studied film and television in the United States. He served as director of photography on several feature films and has directed musicals, comedies, documentaries and variety shows for television. He produced and directed Julio comienza en Julio, selected for the filmmaker's fortnight at Cannes, and chosen as Best Iberoamerican Film, Huelva, Spain, 1979, and Best Chilean Film of the Century. 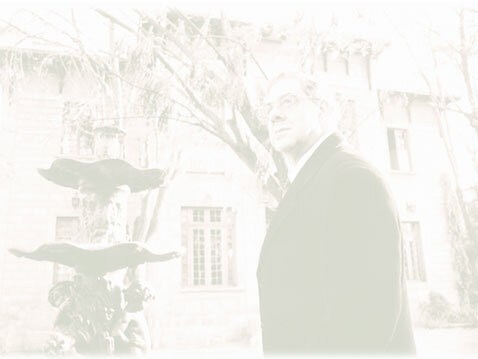 Caiozzi's relationship with José Donoso's writing began with the video Historia de un Roble solo (Story of a Lone Oak) based on one of the writer's stories. Together, they went on to write the script for La luna en el espejo (The Moon in the Mirror), which Caiozzi directed and which won a dozen international prizes (among them, best female actress, Festival of Venice, Italy, 1990). Coronación is Caiozzi's third film closely linked to Donoso's work. Silvio Caiozzi has been president of the Association of Chilean Filmmakers and jury member at many festivals. His last film was Fernando ha vuelto (Fernando's back), a documentary about the forced disappearances of people in Chile. It received first prize at the Valdivia Film Festival, the Coral prize for the Best Documentary, Festival of Havana, 1999, and the OCIC prize, 1999, granted by the World Catholic Church.